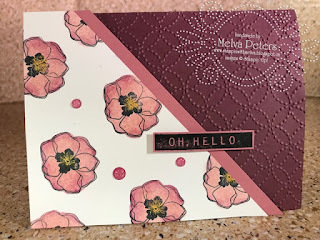 Today I'm sharing 2 cards I CASE'd from the flyer for the new Stampin' Up! Blends alcohol markers that you'll be able to get your hands on as of November 1st! 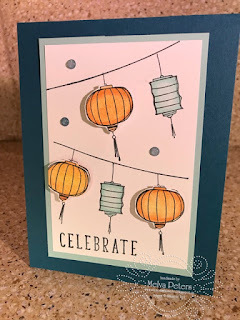 I love to colour and I was so excited when the new Blends markers were announced. I've had a chance to play with them (one of the perks of being a demonstrator!) of the past couple of weeks. 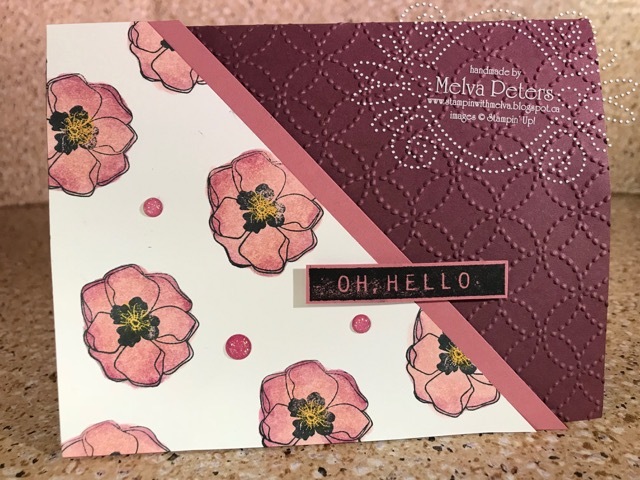 Here are a couple of cards I CASE'd that use the Color Me Happy stamp set (also available November 1st) and the Blends markers. First, the cards I CASE'd (top left and middle right). 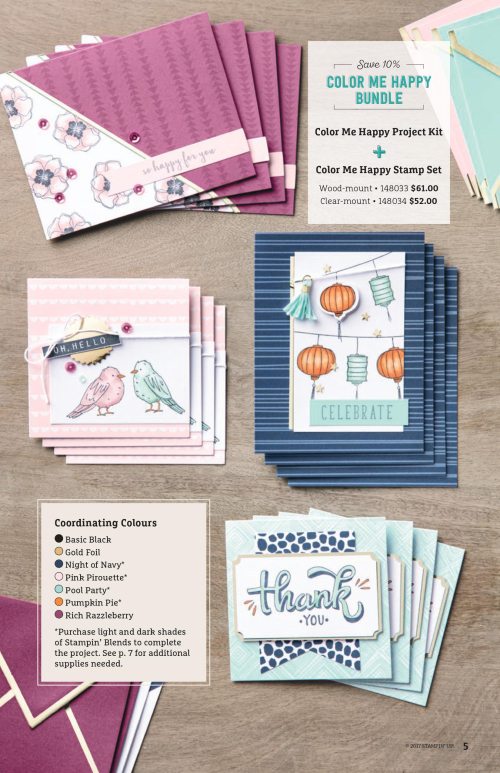 These cards are made using the Color Me Happy Project kit that will also be available November 1st (while supplies last) that makes 16 cards. I didn't use the kit, just the stamp set, so a few changes, but mostly I stayed true to the cards. My goal was to practice colouring! Be available in 12 colours (first launch) in both a light shade and a dark shade. Each colour and shade is sold separately so if you use a colour a lot you can replace just that one pen. Also be available in Ivory and Bronze for skin tones. You can purchase a Color Lifter (for blending and lifting colour when you've added too much). You can purchase as single markers, in a 2 pack combo (light and dark) or as a complete set (26 markers plus Color Lifter). Interested in getting your set? 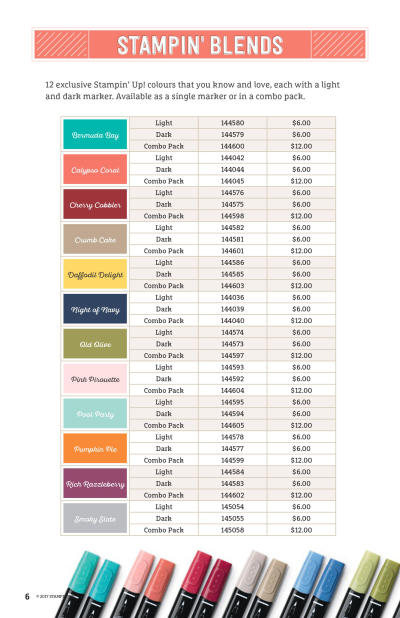 Email me or place your order online as of November 1st.